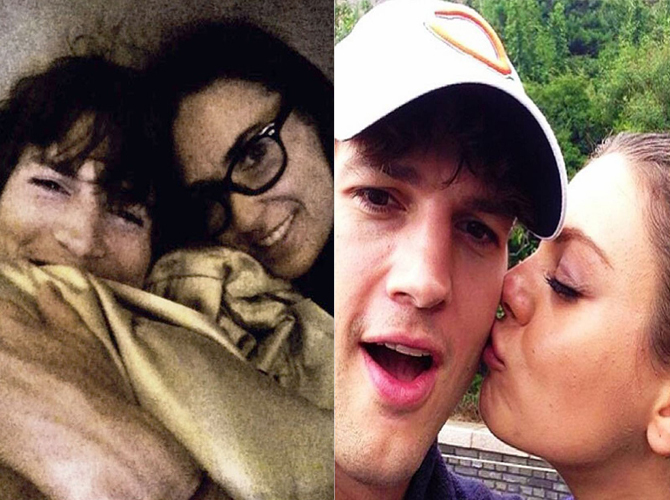 These failed celebrity romances wre-e-ecked us. While there are celebrity couples who’ve stayed blissfully bonded for years (never let us down, Posh and Becks), there are nasty breakups and failed relationships that cut our fangirl hearts so deeply, they’re enough to make us swear off love for good. Below, the anti-love lessons we’ve learned, no thanks to Hollywood. 1. Relationships are merciless rollercoasters. One minute you’re in love, the next you’re broken up. One minute you’re happily engaged, the next you’re crying and swinging naked on a wrecking ball for all the world to see. 2. People do shockingly stupid things while in a relationship. How could Kristen Stewart cheat on Robert Pattinson? With a married man? Who’s a father to two kids? Who’s old enough to be her dad? It’s like a bad algebra problem we can’t solve. 3. Things can get ugly, like, literally. 4. Lovey-dovey feels don’t last forever. But the image of Tom Cruise attacking Oprah—and her couch—in his Katie-fueled ecstasy will forever be etched in our minds as a cautionary tale. 5. He loves you now, but wait ‘til someone better-looking comes along. Let’s take a moment to mourn the golden match that was Brad Pitt and Jennifer Aniston. That matching hair. That matching skin. Those matching jawlines. Those matching all-American first names. 6. Just because a pair seems perfect on paper is no guarantee that it will last forever. 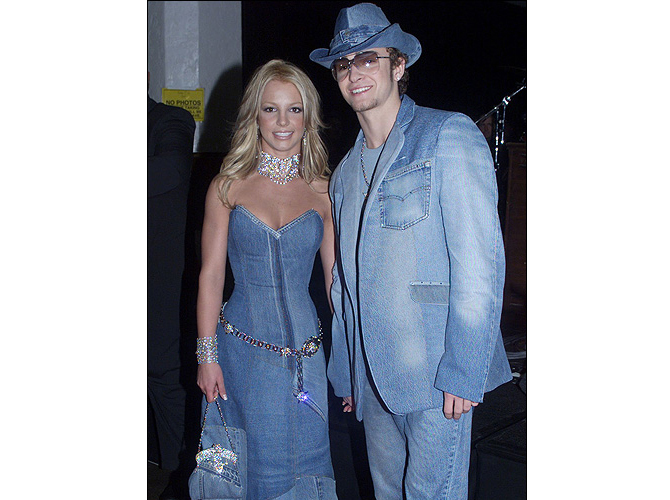 Just looking at this picture of Britney Spears and Justin Timberlake in matching denim during happier times…BRB CRYING. 7. Don’t bother looking to film or TV for romantic inspiration—it won’t work IRL. 8. Some onscreen pairs who belong together IRL don’t even realize it. 9. Whoever said that age doesn’t matter is cray. Ashton Kutcher traded Demi Moore for Mila Kunis. You do the math. 10. Whoever said that love is blind is even cray-er. Heidi Klum and Seal almost made believers out of us—until she ditched him and went off with the hot bodyguard. 11. Some people just give love a bad name. 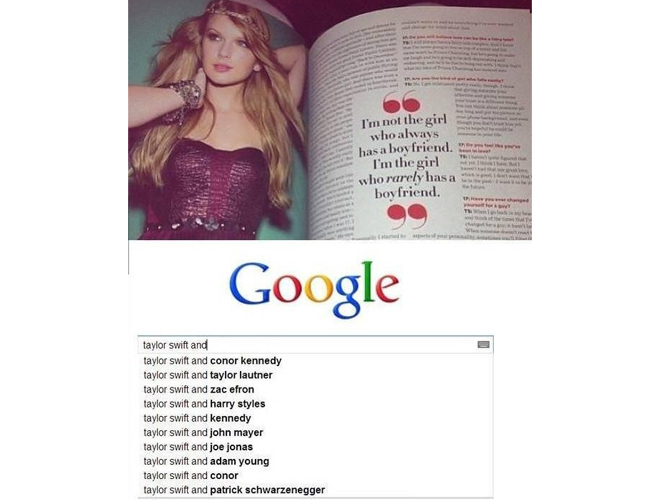 For each highly-publicized split Taylor Swift goes through, our faith in love dies a little. 12. Ryan Gosling and Rachel McAdams are still not back together. But recent sightings of the two “seeing more of each other” have got us hoping again. If they do decide to run tearfully back into each other’s arms, we will join hands, raise our voices in exultation, and possibly, just possibly, give love a chance again.